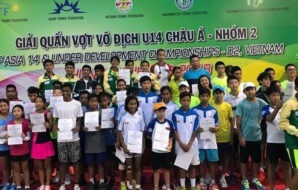 The tournament that took place from the 6th – 19th May 2018 at Bangkok, witnessed the best young players across Asia battling to be crowned champions. 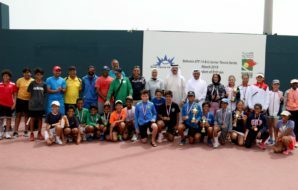 The tournament was a great experience for all the players involved as they were part of various training sessions, aimed to develop their game and host of off-court activities which kept them engaged off the field as well. The tournament was divided into 2 weeks, which provided the players with a 2nd opportunity to perform. Alexandra Eala from the Philippines was the shining star of the tournament as she won the girl’s singles category in both the weeks and she was also the winner of the Girl’s doubles category in week 2, where she partnered with Thailand’s Lanlana Tararudee.